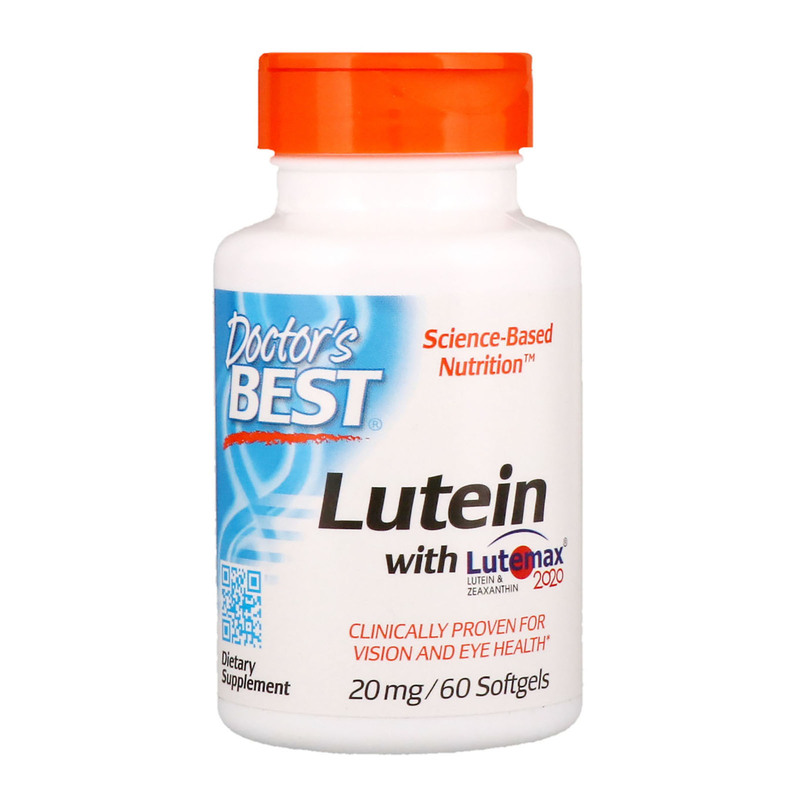 Doctor's Best Lutein with Lutemax supplies lutein, zeaxanthin, and meso-zeaxanthin, the three carotenoid nutrients that are concentrated in the eye. These carotenoids are excellent antioxidants which naturally accumulate in the retina and support healthy light sensing and glare control. 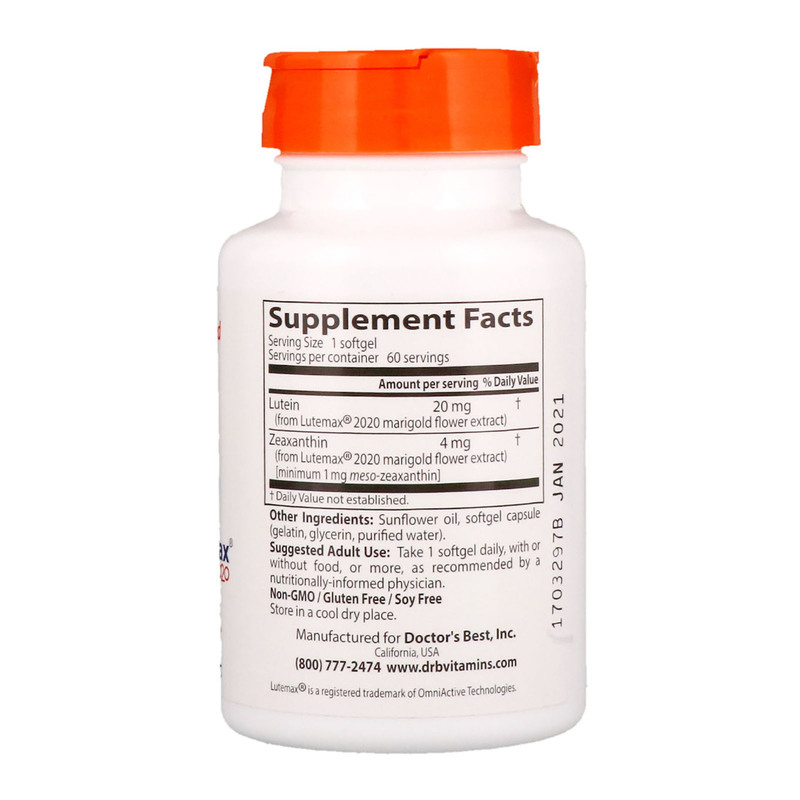 Lutein with Lutemax helps protect against photo-damage from blue light. Blue is the most hazardous component of the visible light spectrum. Research has shown that lutein has a protective effect against blue light. Formulated for those who are exposed to sunlight, indoor lighting, computers, TVs, and other digital devices. Take 1 softgel daily, with or without food, or more, as recommended by a nutritionally-informed physician. Sunflower oil, softgel capsule (gelatin, glycerin, purified water).